Mastered By – No Noise Inc. I have followed Nikhil's work as Kalyug and Satyananda. Both of those projects were solid explorations of their respective sounds. The Middle Path is an interesting concept album, and truly the "Middle" path for all those involved, perched in between the sounds of the past and future. Nikhil is teaming up with the mostly unknown Hari Singh for production duties, Pundit Mukesh Sharma on Sarod and Vocals from Pundit Bholenath Mishra and beautiful flute from Ajay Prasanna. With the three tracks clocking over 17+ minutes each, it’s a bit complicated to review and needs a longer write up, just like the tracks themselves. The music itself is quite simple, thankfully, three Ragas symbolizing the various times of the day, their moods, tempos and feelings. The main ingredients are, a solid dose of electronic sensibilities and atmospheric spaciousness, joining the Sarod, vocals and flute to create an impressive journey through Indian-Classical music. Interestingly Indian percussive instruments are not used, instead letting the bass and drum kits do the work, which I think is actually quite interesting and helps make the music groovy in a bare-bones less is more kind of approach. The production and the flute playing of Ajay Prasanna are the highlights of this album. We start off the journey with Rag Aheerbhairavi, a somber and deep excursion beginning with atmospheric ambiances, classical alap's and then gently guided by a solid driving bass and drum groove which kicks up the tempo lightly towards the end and finishes brilliantly. This is the best track on the CD, perfectly suited for yoga, meditation, trips and generally any reflective mood. It's been in my playlist for a while now and ageing on my ears quite well. The next Raga, Bhimpilasi takes a more dubby direction, again bringing in all the ingredients and more thorough vocals from Bholenath Mishra. The bass at the middle of this track is quite deep and gave my speakers a good work out. At the later end of the track the mood changes and we get into electro-classical dub d&b territory. Everything plays out beautifully; the panning synth line is great, the spacious treatment of the flute is nice, the minimal glitch and atmospheres are lovely, but above all the vocals help it soar. A great track but the beginning is a bit harder to sink into compared to the first track. In the last track Raga Durga, we start with 9 minutes of lovely deep ambiances again bringing in the above mentioned ingredients, after which we head into slightly d&b tinged territory with a positive uppy vibe to it aided by the Sarod and flute. But as we approach the later end of the track the synth lines moving around with the sarod loop kind of kill the delivery and just before the end when the trancy rolling bassline appears (thankfully not for too long) it weakens the track a bit and flips on my cheese alarm. The trancy interlude at the end feels out of place and was not quite necessary, or at least not on this CD. A good track in its own right, but the weakest on this CD, in my humble opinion. I must admit the Saatvik Sequencers caught me by surprise. At a time when electronic music is facing its strongest insurgence in India, I was waiting to see who’d step up and produce something like this. Many artists have hinted at this sound but none have explored it quite thoroughly as the Sequencers have. There’s obviously still a vast scope for improvement and development. So that gives me hope for a next CD. This is risky, artsy music that most labels and distributors wouldn’t touch. Cheers to Nikhil for being brave and following his vision of trans-dimensional music. The Middle Path explores the possibilities of a marriage between electronic and Indian Classical music. The guys have created a very enjoyable journey through atmospheric Electro-Indian classical music. I recommend The Middle Path to all lovers of Indian-classical, electronic and ambient music. The middle path is an attempt to bridge the gap between two different ages, the classical and the digital age. All three compositions are based around the pure Indian classical ragas that are blended with groovy melodious digital atmospheres. The ragas used were carefully chosen keeping the three basic times of an average human’s day – Morning, Afternoon & Evening, thus maintaining a comfortable relaxed environment to listen to the genre of music we have come to call ‘Electro-classical’. 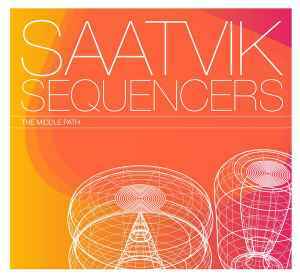 ‘Saatvik Sequencers’ is a conceptual music project by Nikhel Kumar Mahajan and Hari Singh. Both the artists have a vivid background in electronic music. Nikhel has released 2 critically acclaimed albums under his alternate avatars of Sattyananda (Ambient) & Kalyug (Progressive) and has performed at festivals all around the globe while Hari has a sound engineer degree from SAE Chennai & a diploma degree in music production from Manchester Midi School in the UK. He has also played an active role in the Manchester club scene as a sound engineer & organiser. He is going to release his solo debut album on Audio Ashram in 2008. Both the artists have had the honour to work with top classical artists like Amaan & Ayaan Ali Khan, Anoushka Shankar, Subha Mudgal & Ustad Amjad Ali Khan. ‘The Middle Path’ is synthesized to be an evolving journey that uplifts the listener in every way possible. All sounds are comfortable, relaxed & groovy with a sense of shamanic mysticism. The album maintains the uncompromising production quality listeners have come to expect from the duo’s other projects. Each of the three18 minutes compositions are built on a solid framework of intricate Indian classical music ragas blended with layers of electronic atmosphere drifts that induce dreamy nonchalance. Raga Aheerbharavi symbolizes the morning cycle of a human’s day. It focuses on the flute by Pundit Ajay Prasanna which is introduced by an array of pads that rise out of the darkness to announce the incoming beat. The sounds are accentuated by soothing vocals and hazy atmospheres that are interspaced with precise mechanical percussions. The second track Raga Bhimpalasi symbolizes the afternoon cycle & focuses on mesmerizing vocals by Pundit Bholenath Mishra. It starts off with a thick blend of chants & ethereal synths. The digital mix of groovy break-beats and glitchy overtones overlay the organic flute & sarod, teleports our conscious minds to realms of uncompromised quality and cutting edge electro-classical music. Raga Durga, symbolizes the last cycle of the day, the evening cycle and focuses on the Indian instrument Sarod, played skillfully by Pundit Mukesh Sharma. The track can be best described as an epic. The build up from cinematic ambient bliss to up tempo ethno-chill is impeccable and would best suit a festival audience. The artwork for the album is warm and pleasant with different shades of orange as a background for digital wire frames. Exploring the CD inlay we find thoughtful quotes such as “We are what we think. All that we are arises with out thoughts. With our thoughts we make our world – Buddhist Quote” which explores the artists thought process and the parallel musical dimension they create & “Just as the highest and lowest notes are equally inaudible. So perhaps is the greatest sense and the greatest nonsense equally unintelligle – Allan Watts” that symbolizes the path between different genres the artists have chosen for painting this sonic canvass. The Middle Path is a mature and innovative album that has been released by India’s latest Independent Music Label/ Production House ‘Audio Ashram’ which is an initiative by Nikhel, Bawa & Joey Matthew to promote the crème of electronic musicians across different music genres and help the electronic music culture in India morph into a truly global phenomenon. Audio Ashram is also donating a percentage of all the album sales to ‘Cankids Kidscan’ a family support group for children with cancer and their families.